This is positioned in the Kampala city center along the Kimathi Avenue. It is a multi-leveled building that offers an extended range of entertainment which includes; 8 Roulette Tables, pontoon, Poker games, 5 Card Tables of black Jack and over 44 standard slot machines operating every day 12:00 noon till late. 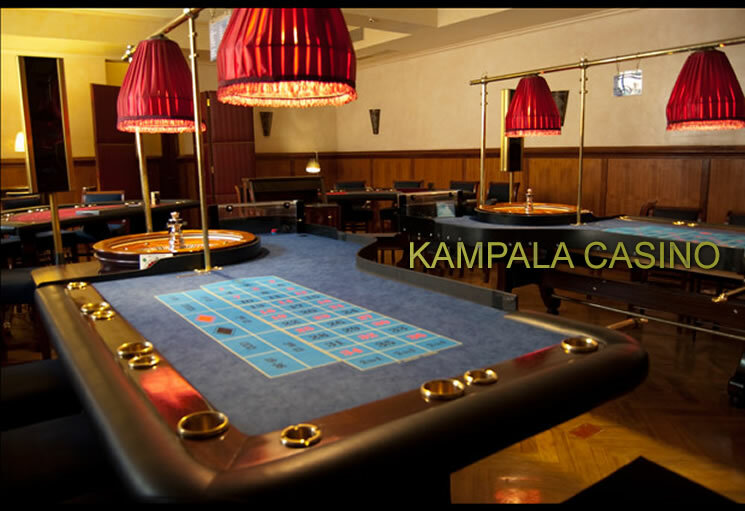 Kampala Casino boasts of its staff that is professional, friendly and willing to offer personalized and customized service to the clients. Kampala Casino also is a haven for Lunch Buffets that are offered in a cozy environment that is free from city traffic and noise making it a favorite spot for Kampala’s A – Class. The dining parlor is open Monday to Friday with a distinguished Thursday Jazz Night where fine typical African buffet is served. It also has the Indian Night Extravaganza Buffet every Friday at 08:00am serving a range of Indian cuisines. The exciting Bingo Roulette Mania at 06:00am every Sunday is a great encounter with an opportunity to win major Jackpots alongside top revelers. Kampala Casino boasts of its latest slot Machines and big jackpots in Kampala offering a range of games including; daily slot games, Roulette and poker. Roulette – an ancient game that dates back to the 18th Century has gone through the touch of French, Europe in general and the America thus making a darling game around the globe. Considering its simple spin and click, the subsequent sights and sounds commemorating your lifetime win is a historical memory to remember on Uganda safari. Blackjack – the casino banking game played widely across the world involves comparing a card between the dealer and the player thus not against other players which is played with one or more decks of the 52 cards with the sole mission of beating the dealer. Pontoon – a calculative game with table layout similar to that of Black Jack with the punter having the aim of receiving the cards that sum up more in face value than the bankers and not above 21. 3 Card Poker – one of the popular emerging table games due to its simple form and the fun that it generates. It entails a singular card of 52 cards and it is in fact 2 games in 1. All this is enough to make your night in Kampala while on Safari in Uganda memorable.